Newegg offers the Hoover Air UH72405 Upright Vacuum Cleaner for $96.04 via coupon code HOOVERFEB19 . 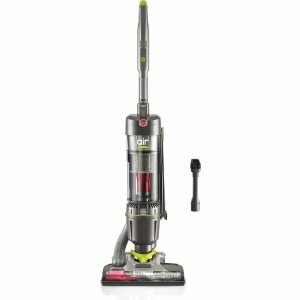 Features: The Hoover® Air™ Steerable Pet Bagless Vacuum brings ease and performance to whole-home cleaning. The lightweight and easy-to-maneuver design effortlessly cleans around objects while the low profile design lets you easily clean under furniture and beds. Exclusive WindTunnel® 3 Technology gives you the power you need to lift and remove deep down embedded dirt on carpet and hard floors for a thorough clean every time. Plus our AllergenBlock™ Technology and pet tools are ideal for pet owners and busy households.